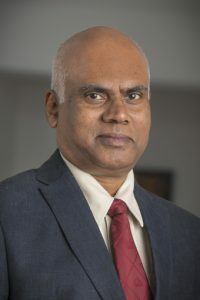 M.B.A., University of Hull, U.K.
Mr. Kannan, Head of Regulatory Economics at Nathan, specializes in regulatory economics and policy and impact analysis. His areas of expertise include policy design, development of regulatory framework for infrastructure sectors, economic research and analysis, and air cargo logistics. Before joining Nathan Associates, Mr. Kannan worked for over three decades with the Government of India as an officer in the Indian Economic Service. There he served at the senior level in Indian government ministries and departments including Commerce and Industry, Environment, Forest and Climate Change, Telecom Regulatory Authority of India (TRAI), and Civil Aviation. In all these assignments, he played a key role in developing a range of regulatory reforms and policies designed to promote growth of these sectors. Mr. Kannan also worked as a consultant with World Bank Group for Bhutan Infocom & Media Authority in designing a comprehensive tariff framework for leased line services in the Bhutan.